How long does a landlord have to return a security deposit if there are no damages to the property? - Portuondo Law Firm, P.A. How long does a landlord have to return a security deposit if there are no damages to the property? If they’re no damages to the property, a landlord has 15 days to return the full security deposit to the tenant. If there is damage to the property, the landlord has 30 days. Either way, failure to comply with this deadline is a costly mistake for landlords. The tenant can actually sue the landlord for the full return of the deposit, even if there is damage to the property. And the landlord can also be required to pay the attorney’s fees. 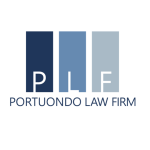 Portuondo Law Firm provides custom services to South Florida businesses and residents. The Firm provides the personalized experience only a boutique firm can, without sacrificing quality.